MoveStrong conducted an In-Service Training for staff and guest of Westwood Fitness & Sports Center. Westwood F&S is part of Sterling Parks District in Sterling, IL. 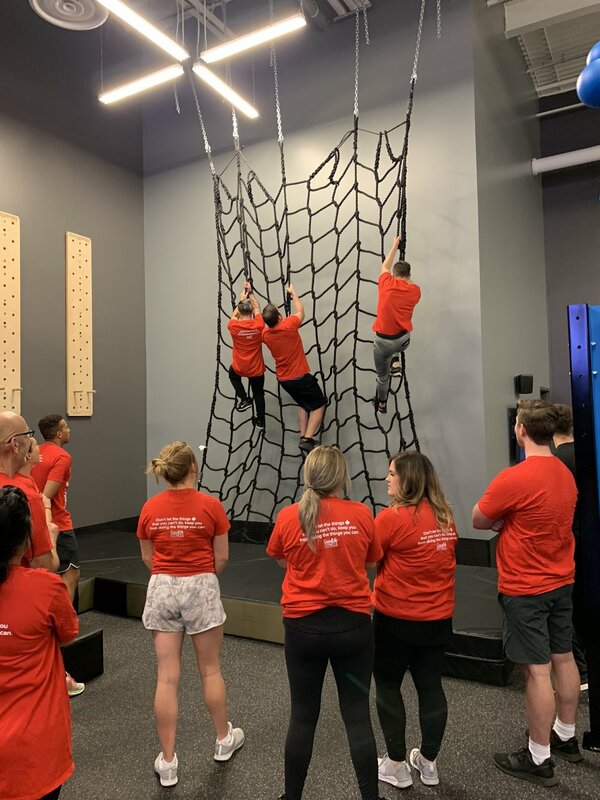 An introduction to MoveStrong philosophy on functional fitness exercise and hands-on demonstration to prepare staff for launch the Functional Training, Obstacle Course, and Ninja Warrior Training Room at this amazing city parks fitness and sports center! Nova XL Functional Training Station with many MoveStrong functional training tools for NinjaStrong and Obstacle Course Training! Event CLOSED to Westwood Staff and Guest Only! Contact Westwood location for more details. Catering to the community of Sterling, IL, Westwood Fitness is a large multi-posrses fitness and sports center. A full size gym and fitness area along with courts, fields, and more for individual workouts, team sports, and leagues. Welcome to the Sterling Park District! MoveStrong workshops are designed for fitness professional, personal trainers, and gym owners to get the most of their functional fitness training utilizing MoveStrong products. 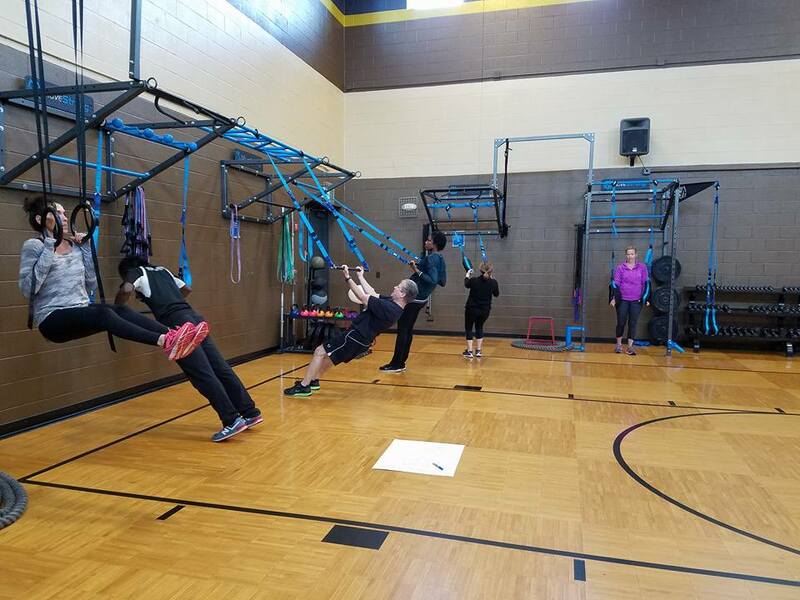 In-Sercice workshops cover the MoveStrong equipment along with exercises and programming. Review exercises that are safe and easily scalable to all ages and ability levels. 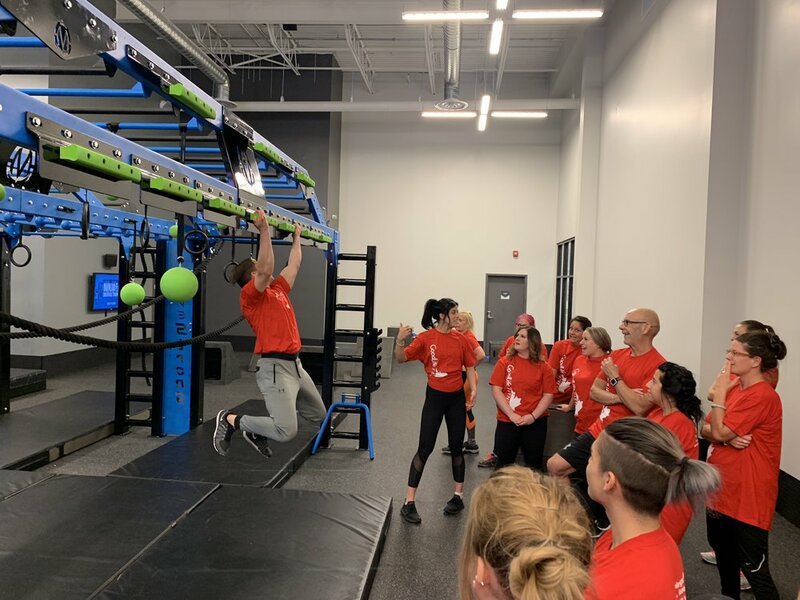 Inquire with us about workshops available for your staff to ensure the best use of your MoveStrong equipment and launching the training for your facility. MoveStrong will conduct an In-Service Training for staff and guest of Goodlife Fitness. 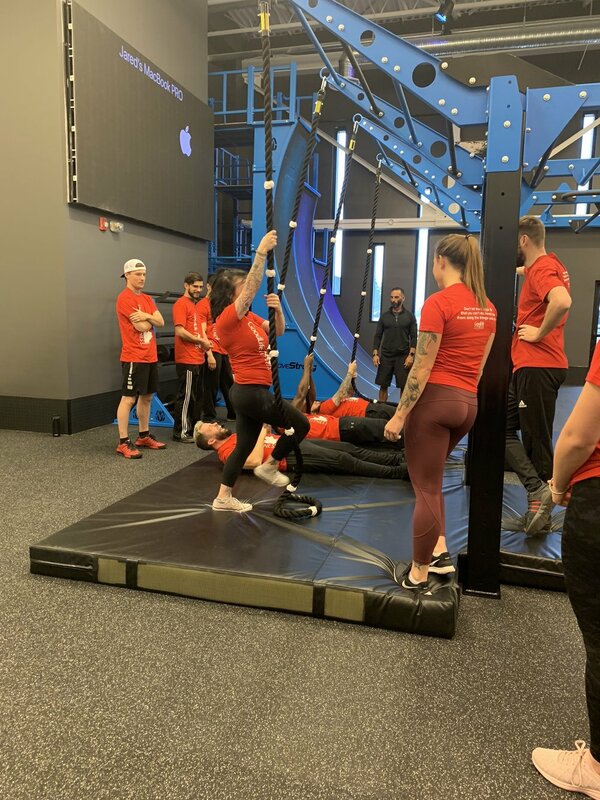 An introduction to MoveStrong philosophy on functional fitness exercise and hands-on demonstration to prepare staff for launch the NinjaFit and Obstacle Course Training Room at the Red Deer location! Event CLOSED to Goodlife Staff and Guest Only! Contact Red Deer location for more details. Come test your speed, agility, balance and strength in this friendly competition to celebrate the launch of Pro Gym's new Evolution Zone. There will be door prizes and tastings to help you discover the little wonders of the health bar. Without forgetting Martin Racine who will animate the competition and DJ Miss Shelton at the controls of the music for an excited atmosphere! Attend the clashes of celebrities and athletes such as Olivier Dion, Oliver Kult and Victoria Kult, Rosalie Lessard, Mickey Langston, Eric Pelletier and Gregoire Bellemare followed on Instagram by thousands of followers. The Pro Gym will be exceptionally open to all and the annual subscription will be offered at a reduced price. Talk to your friends, and especially sign up now! -> TO ASSIST: open to all, no need to be a member, and it's free! Just check "I'm going" on the event. -> TO REGISTER: participate in the obstacle course by writing a private message on Facebook or Instagram before February 5, 2018. The competition schedule will be shared during the week of February 5th. MoveStrong will conduct an In-Service Training for Golds Gym Bismarck, ND! An introduction to MoveStrong philosphy on functional fitness exercise and hands-on demonstartion. For Golds Gym staff and guest. MoveStrong was on-site to conduct a In-Service workshop for Gold's Gym Herndon, VA. The Functional Training workshop was a intro to MoveStrong philosophy of training along with hands-on demonstration of MoveStrong functional fitness equipment. 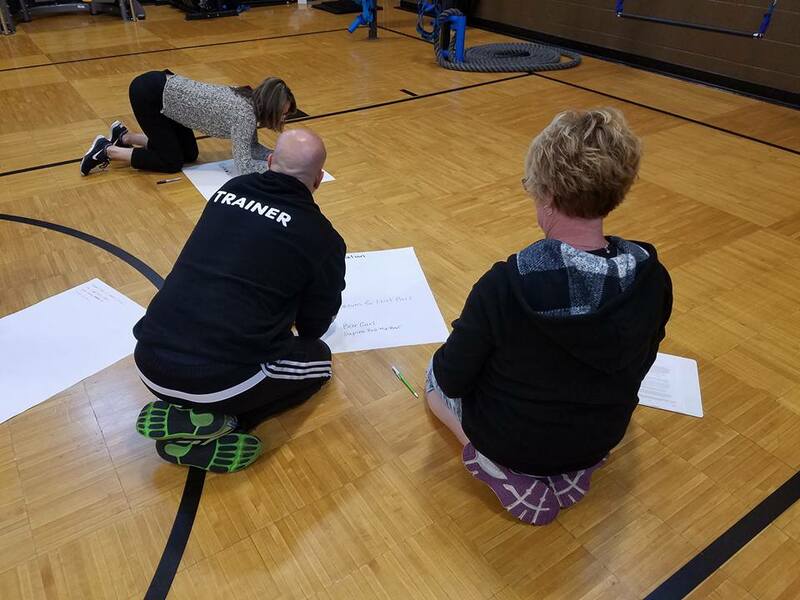 Exercise progressions and regressions were reviewed with programing ideas and format for group training classes. The following day a MoveStrong Group Functional Training workout was led for three Gold's Gym facilities to help trainers better understand programing and exercise instruction to launch the newly dedicated functional training area. 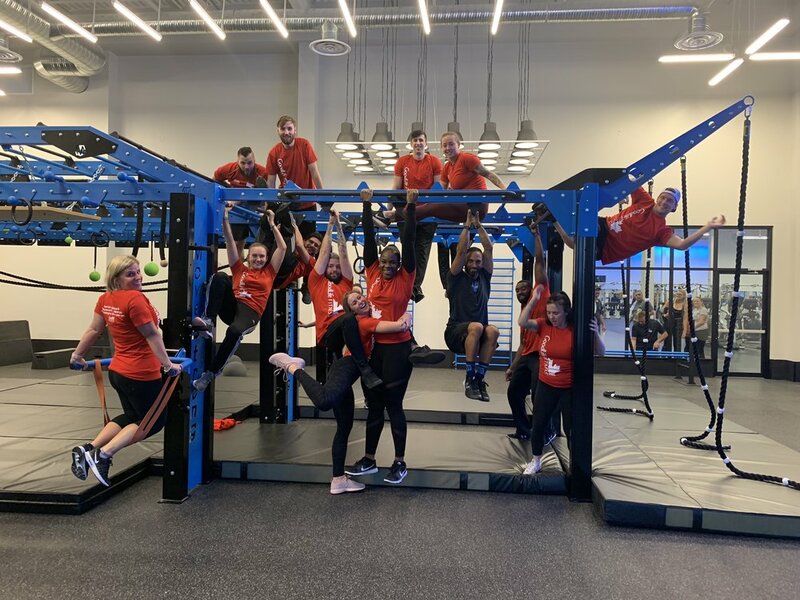 Gold's Gym Northern Virginia locations launch a newly dedicated space designed specifically for personal and team training utilizing MoveStrong Functional Fitness Equipment! Group training sessions with different classes to emphasize total body functional fitness, HITT training, power & strength, along with more specialty sessions to come as the programs evolve and grow with members interest and participation. MoveStrong will conduct an In-Service Training for staff and guest of Courts Plus. An introduction to MoveStrong philosphy on functional fitness exercise and hands-on demonstartion. 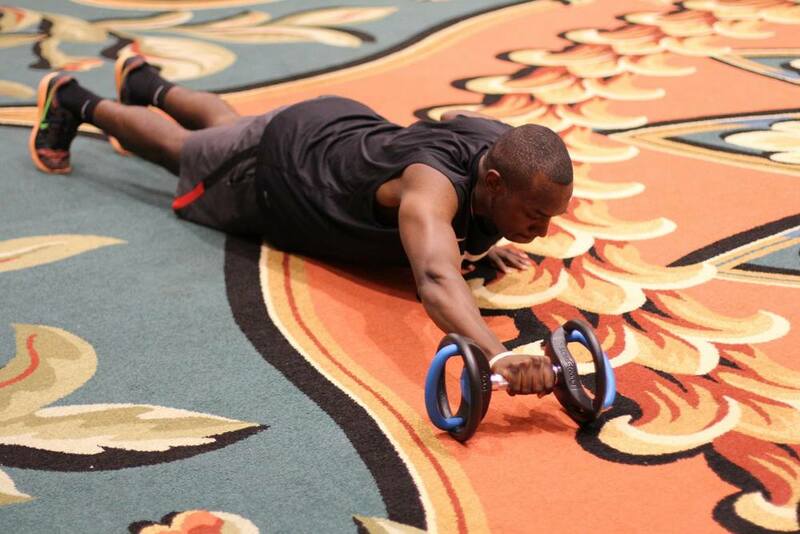 CATCH US AT THE PERFORM BETTER 3-DAY FUNCTIONAL TRAINING SUMMIT IN LONG BEACH, CA! Join us in August 25th & 27th for the 2017 Perform Better 3-Day Functional Training Summit! Held at the Long Beach Convention Center. Trainers, coaches, therapists, and fitness enthusiast will experience a combination of lectures and hands-on learning experiences with many of the top professionals in the industry. Earn continuing education credits and interact with many other fitness professional in the industry. NEW MoveStrong tools and features for the NOVA FTS will be availble to view and try. During lecture breaks that Friday and Saturday you will have a chance to see and demo new and the most popular MoveStrong products! Join us at 12:15pm Saturday for a MoveStrong Group workout using NEW training tools for a lunchtime demonstration and workout including the MoveStrong Nova FTS, Centerline Retsinace Bands, GEO Floor Obstacles, Elevate Trainers, and Dynabell! MoveStrong will conduct an In-Service Training for Golds Gym at two locations Sterling and Ashburn, VA. An introduction to MoveStrong philosphy on functional fitness exercise and hands-on demonstartion. For Golds Gym staff and guest. CATCH US AT THE PERFORM BETTER 3-DAY FUNCTIONAL TRAINING SUMMIT IN CHICAGO THIS WEEK!!! Join us in Chicago, IL July 28th & 29th for the 2017 Perform Better 3-Day Functional Training Summit! Held at the Donald E. Stephens Convention Center. Trainers, coaches, therapists, and fitness enthusiast will experience a combination of lectures and hands-on learning experiences with many of the top professionals in the industry. Earn continuing education credits and interact with many other fitness professional in the industry. Join us in Providence,RI for the Perform Better 3-Day Functional Training Summit! Trainers, coaches, therapists, and fitness enthusiast will experience a combination of lectures and hands-on learning with many of the top professionals in the industry. Earn continuing education credits and meet many other fitness professional in the industry. MoveStrong will be exibiting NEW functional training equipment and accessories!!! Friday and Saturady during the Summit you will have a chance to see and demo new MoveStrong products! We will also be offering an ENTER TO WIN for equipment given away at the Summit! Attendees just stop by and register! Here are a few photos for last years Providence Summit! 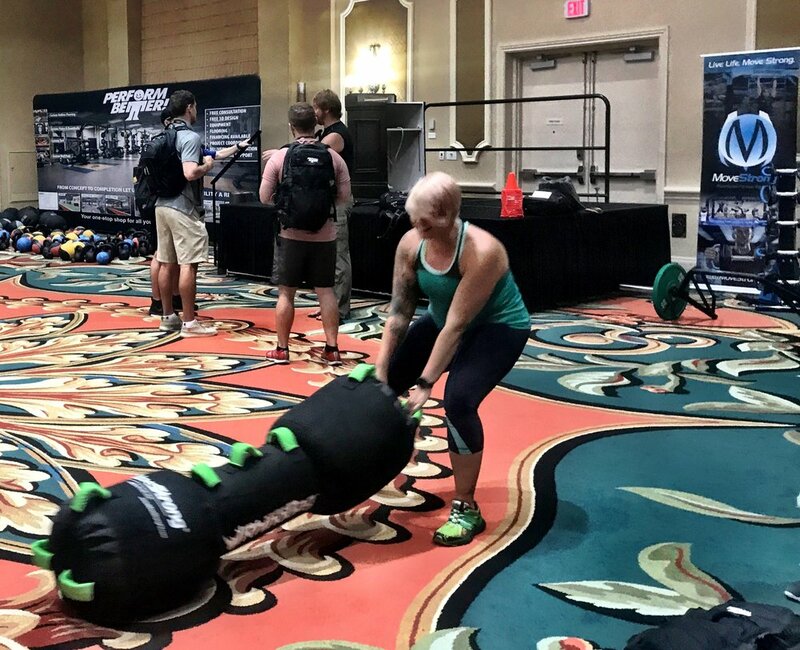 It was a great time exhibiting and debuting some new MoveStrong functional fitness products last weekend at the Perform Better Summit Orlando! Thank you to those who came out to see us and Perform Better for putting on another excellent education event! 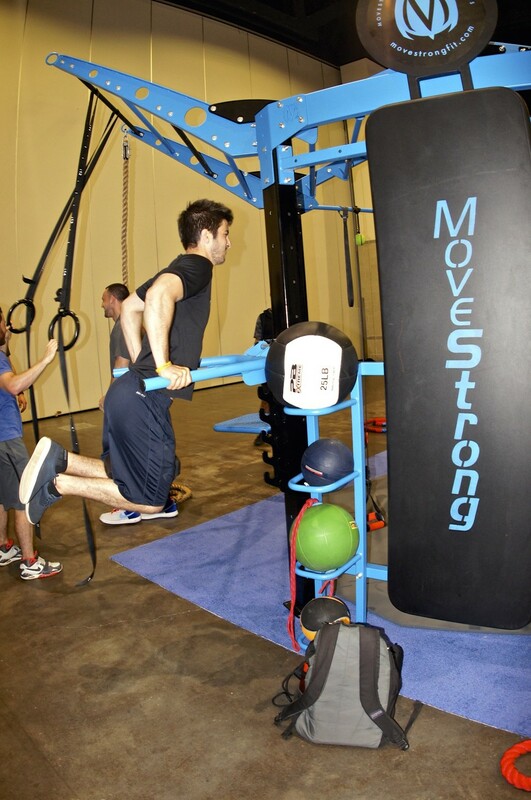 Some exciting and new MoveStrong functional fitness training equipment and tools were shown for the first time. 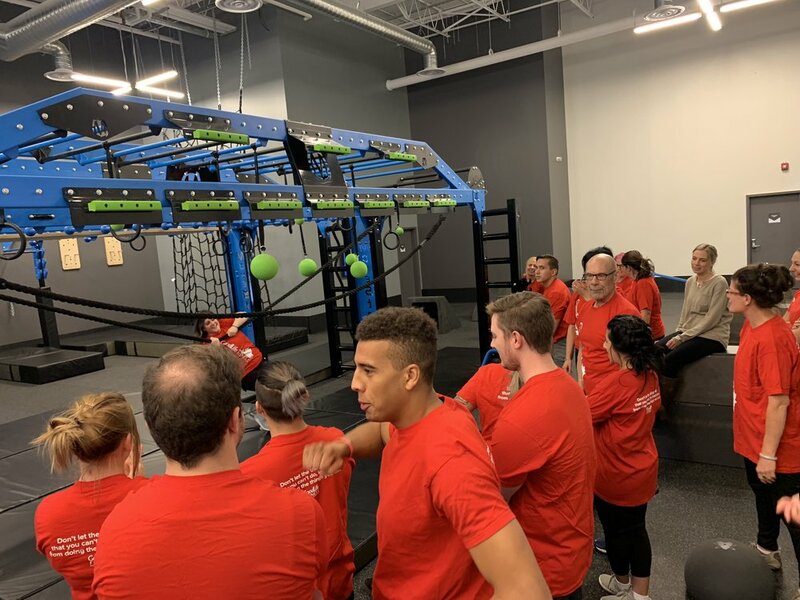 Fitness professional, trainers, therapist, and gym owners and more got to test thier skills on the MoveStrong GEO Floor obstacles. 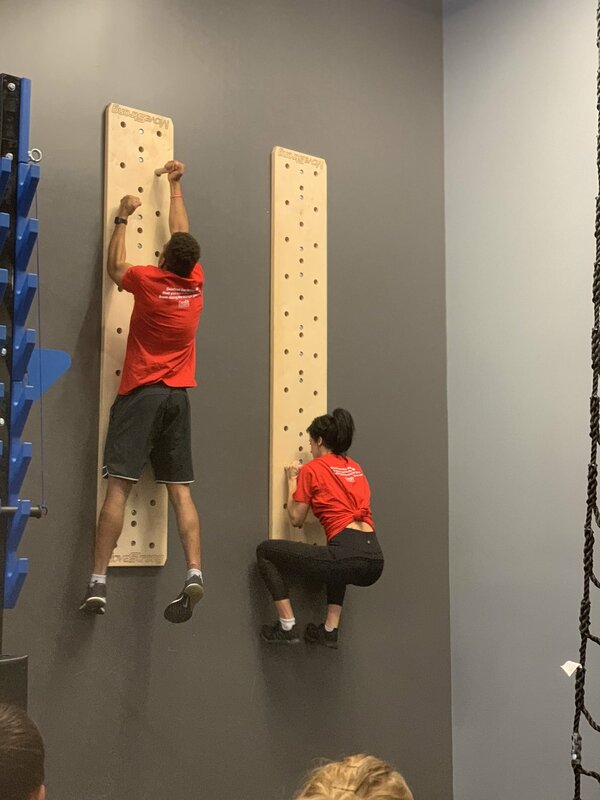 The different shape obstacles can be arrange in many different courses to challenge balance, agility, strength, and stability as you walk, bound, and crawl through obstacles. 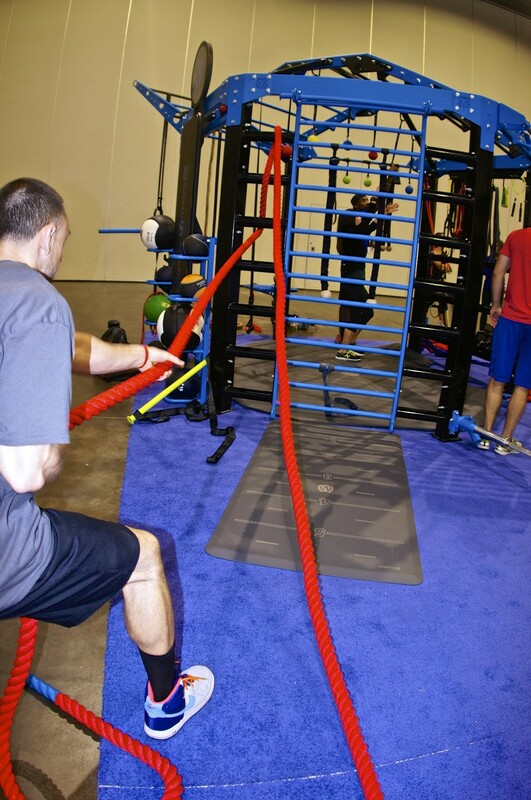 The MoveStrong Centerline bands were debuted to use on the Nova-4 FTS with Stall Bars. Dual anchor point strength bands provide a new dimension in training with resistance bands. 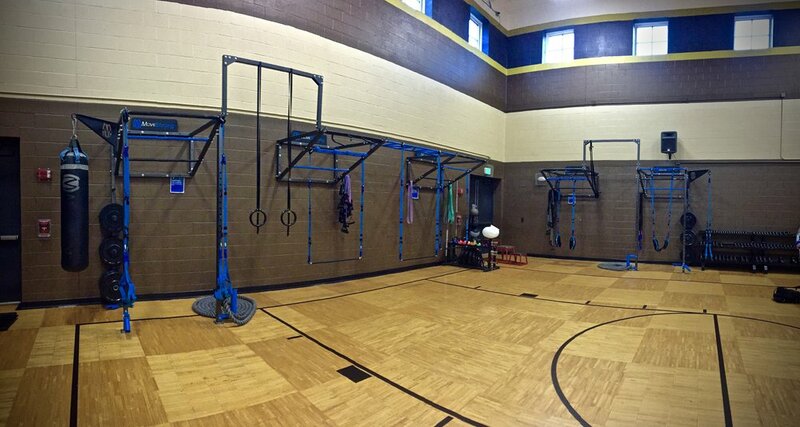 The Revolver Pull-up bar was a hit as shown on the Nova FTS! 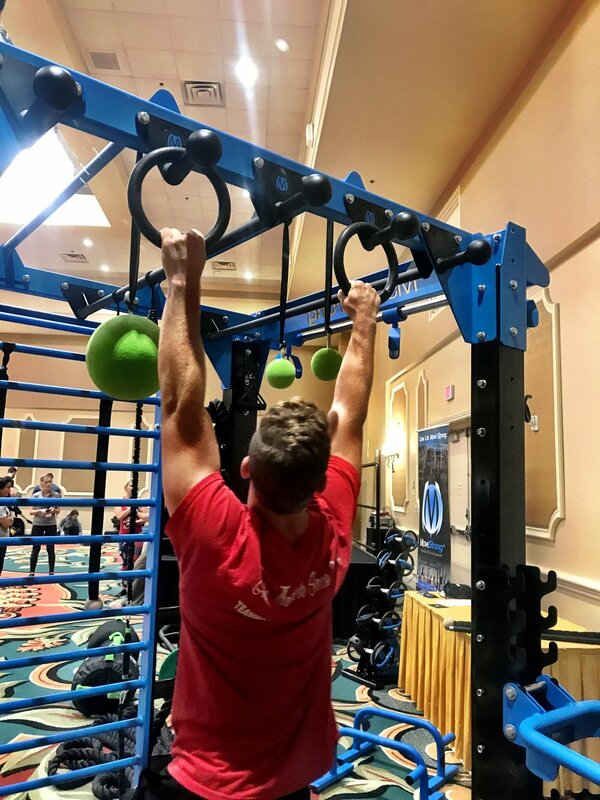 A challenge took place for attendees to test their skills on the revolving pull-up bar. A fun and challenging way to develop grip, arm, lat, and shoulder strength. Bodyweight and ninja warrior style training at its best! Now available on the Nova FTS or used on the MoveStrong Pull-up Bracket System! Other MoveStrong training tools shown were the DynaBells, DSL Bar, GRT Handle, Grip tools, and Elevate Trainer! Here are a few photos showing highlights from the event! 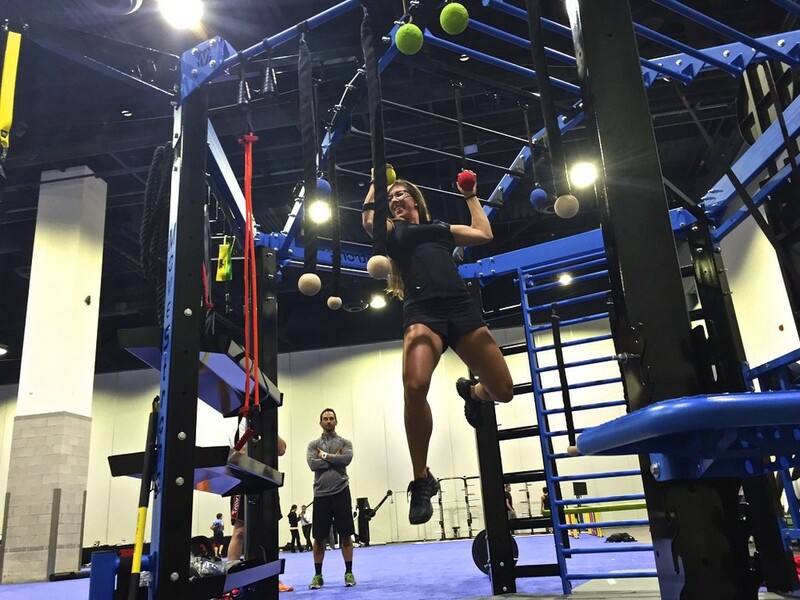 Be sure to check our event schedule for more Functional Training Summits coming to your area! Hallie Wells Middle School Clarksburg, MD to host MoveStrong functional fitness workshop for school staff and teachers. The MoveStrong Super Nova FTS was chosen and customized with 4 Squat Rack stations, Kickplate with medicine ball targets and storage, 2 adjustable Dips bars, Sliding Pull-up, custom colors and more! "Arsenal Strength Training Facility is a training facility. A gym. A place to train. A place to work out. This place will be a home to many, a refuge for some and life changing for every single person who walks through those doors. Knoxville, you haven’t seen anything like this before. We are as passionate about providing you the BEST facility to train in as you are about training. YEARS have gone into the planning and designing of this training facility. Not one detail was overlooked or hurried. We are building this from the ground up so that every aspect of the building is perfection. Every piece of equipment, every square foot of turf and each color on the wall was handpicked to create the best atmosphere for you to train in. The quality of our equipment is unmatched by any other. The equipment provided by Arsenal Strength is sold all around the world. Everyone speaks highly of the quality, thoughtfulness to design and the overall look and feel. The quality of our trainers and staff will be amazing as well. We are here to serve you, our customer, our member, our family. 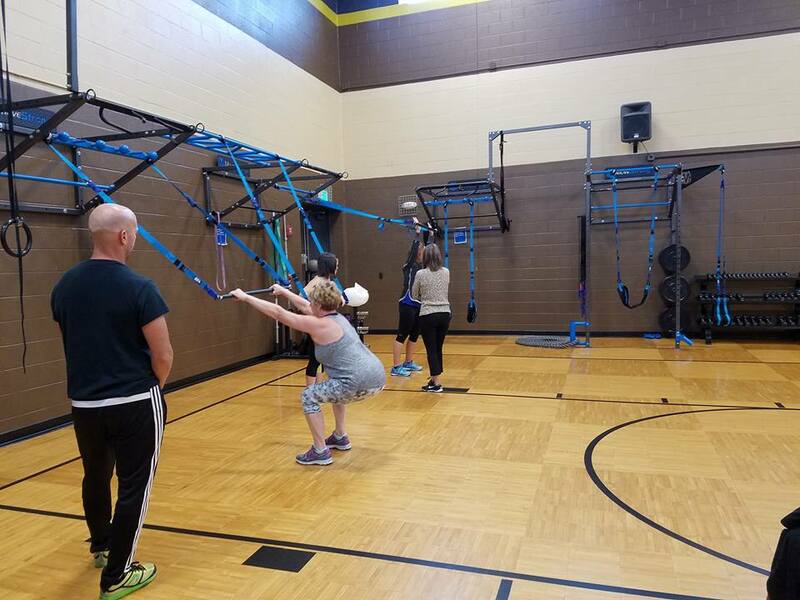 Middle Tennessee YMCA Association along with DaneFit ofHendersonville,TN hosted the first MoveStrong Elevated Bodyweight Training course level 1 for trainers. The workshop was part of continuing eduction made available to YMCA staff each year. 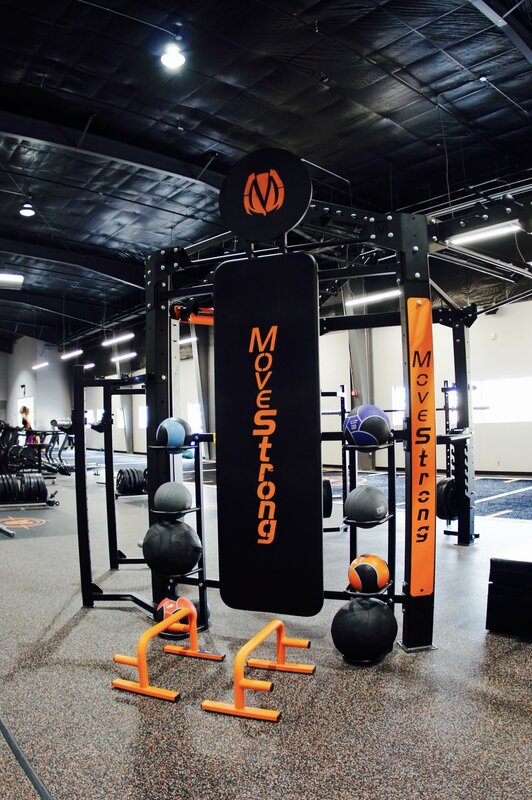 The Ys have added MoveStrong FTS (Functional Trainig Stations) and many of the Tennessee and Nashville area locations over the past couple years making it ideal for hosting continuing education with MoveStrong and new functional fitness accessories. 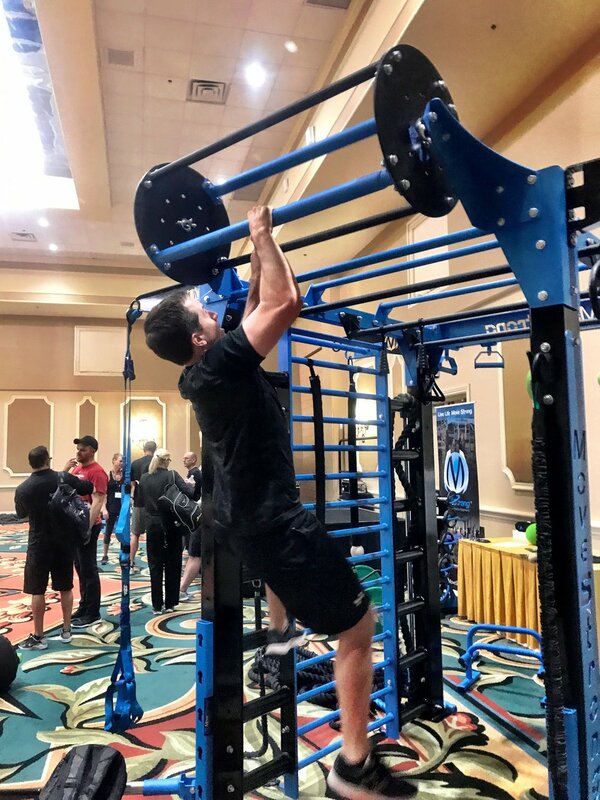 The Elevate Trainer is the newest in the MoveStrong functional fitness tools offering a complete overhead suspended training device to effectively target different modalities in bodyweight strength, stability, and mobility exercise. 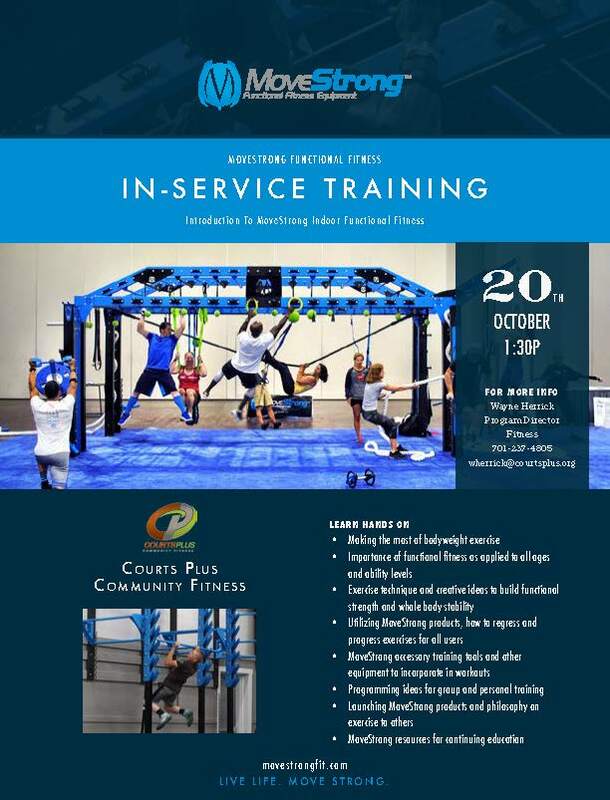 This hands-on course will teach the principles of bodyweight training with an overhead anchored tool to improve functional strength/mobility, core stability, and biomechanics of human movement to maximize performance. 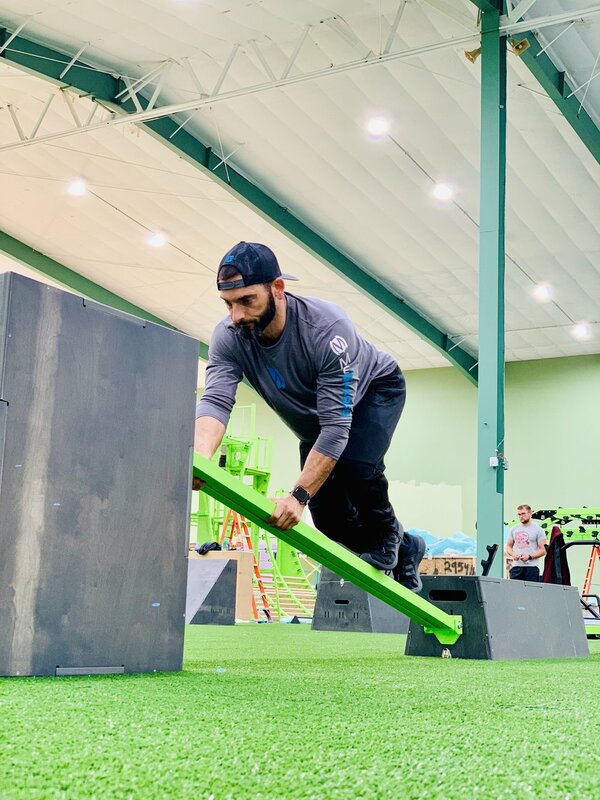 The fitness professional will learn how freedom of movement, through multiple planes of motion and dynamic stabilization, come together in elevated bodyweight training to provide total body activation that cannot be experienced using a traditional training apparatus. The course will also teach modifications (progressions and regressions) for safe and scalable movements appropriate for all fitness levels and abilities. The final Perform Better functional training summit of 2016 was held in August at Long Beach, CA. 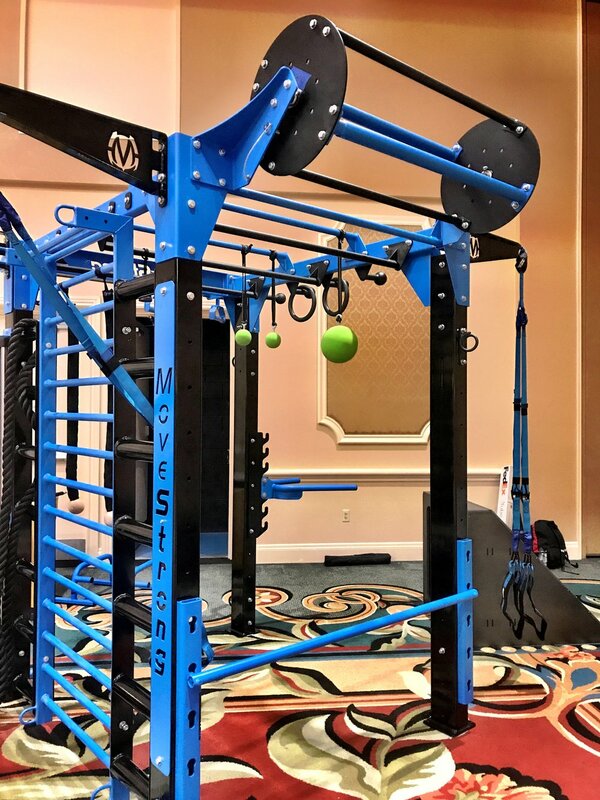 MoveStrong exhibited their newest training tools and Elite Storage Rack system design for organizing all functional training products and provide dedicated training stations within the rack! Here are a few shots of the action at another great 3-day event to close out the year for the summit series. 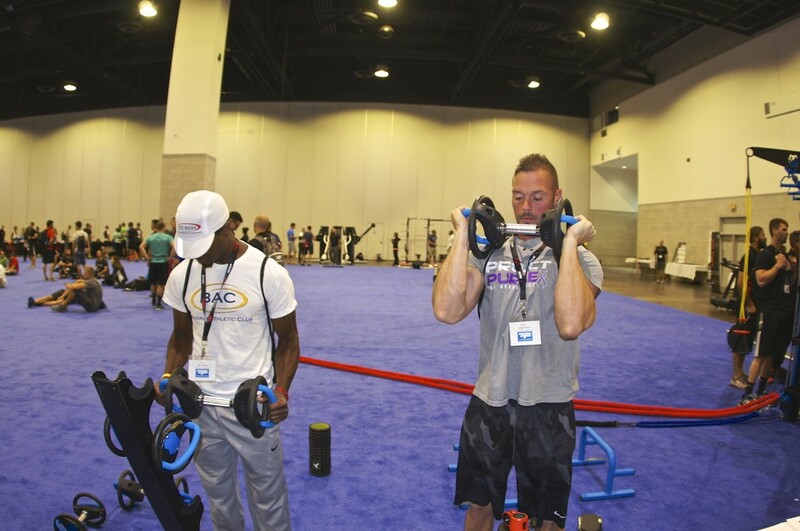 Top fitness and wellness educators were on hand to lecture and lead hands-on workshops for attendees. 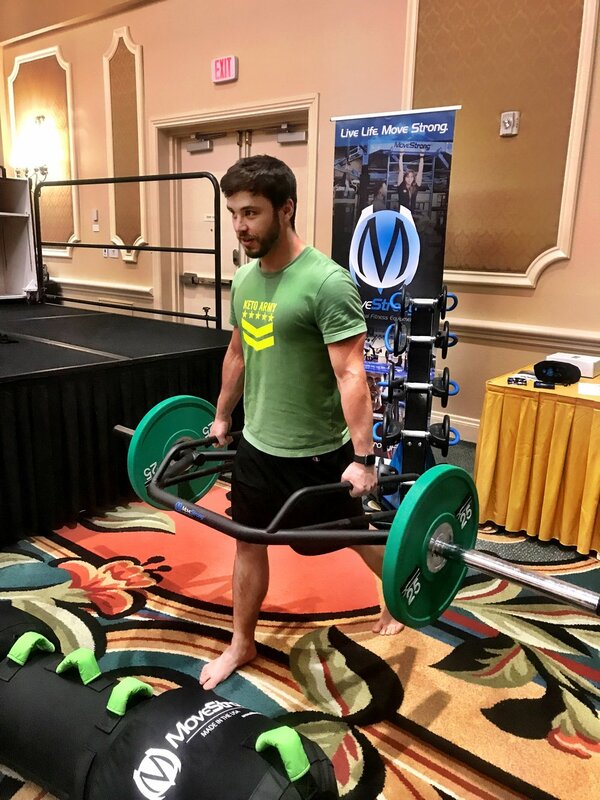 MoveStrong had the pleasure of meeting and demonstarting the latest functional fitness products availble to the attendees as well s conducting group workouts. 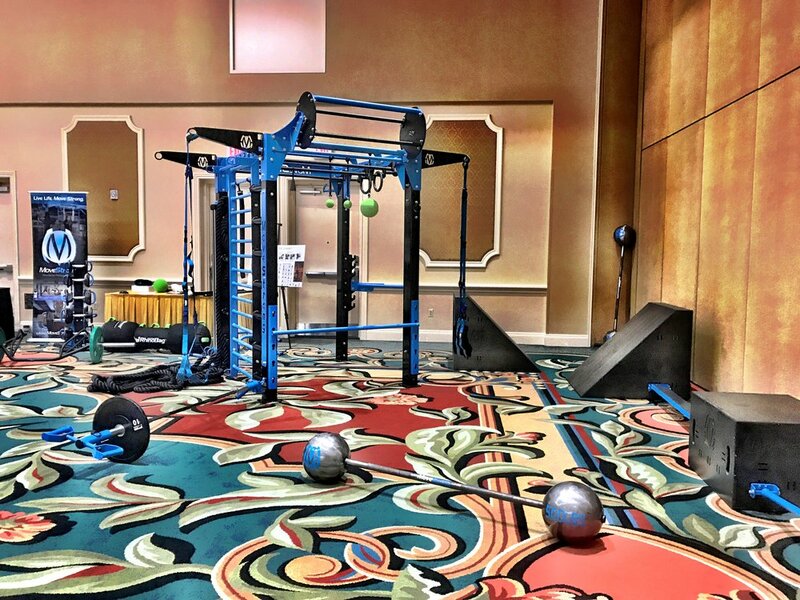 Making a debut of the new MoveStrong Nova XL functional training station was a BIG HIT among attendees at the Perform Better Functional Training Summit Providence!!! If you missed us in Providence the next and final Perform Better Functional Training Summit is August 12th-14th in Long Beach, CA. 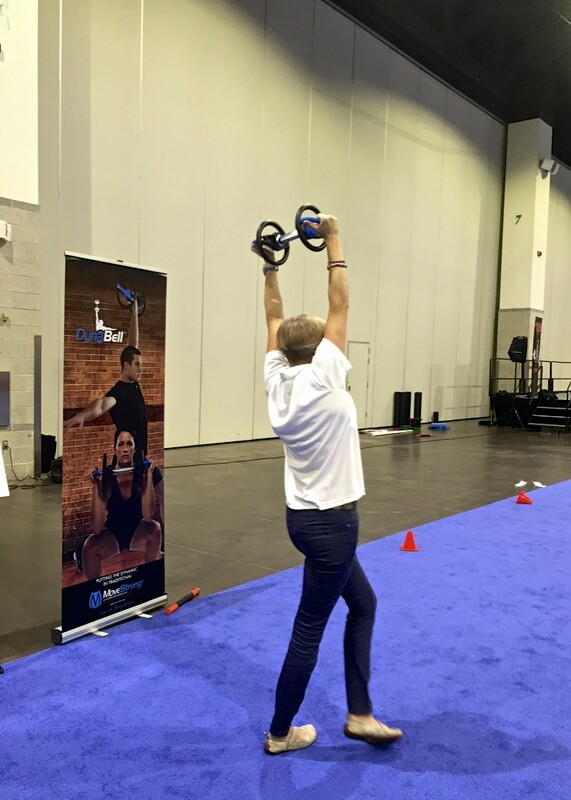 We will be on-site at the Long Beach Convention Center to demonstrate and conduct group workouts with attendees using many new and popular MoveStrong training tools. Trainers, coaches, therapists, and fitness enthusiast will experience a combination of lectures and hands-on learning experiences with many of the top professionals in the industry. They will earn continuing education credits and interact with other fitness professionals in the industry during this 3-Day Summit. We will also have the new MoveStrong ELITE Storage Rack along with a Nova FTS and more new functional training accessories!!! All day Friday, Aug. 12th and Saturday, Aug. 13th you will have a chance to see and demo new MoveStrong products! Join us at 12:15pm Friday, Aug 12th & 13th for a MoveStrong Group workout using NEW training tools for a lunchtime demonstration and workout including the MoveStrong Elevate Trainer, Rhino Bag, M3 Bars, Adjustable Parallel bars, and DynaBell! 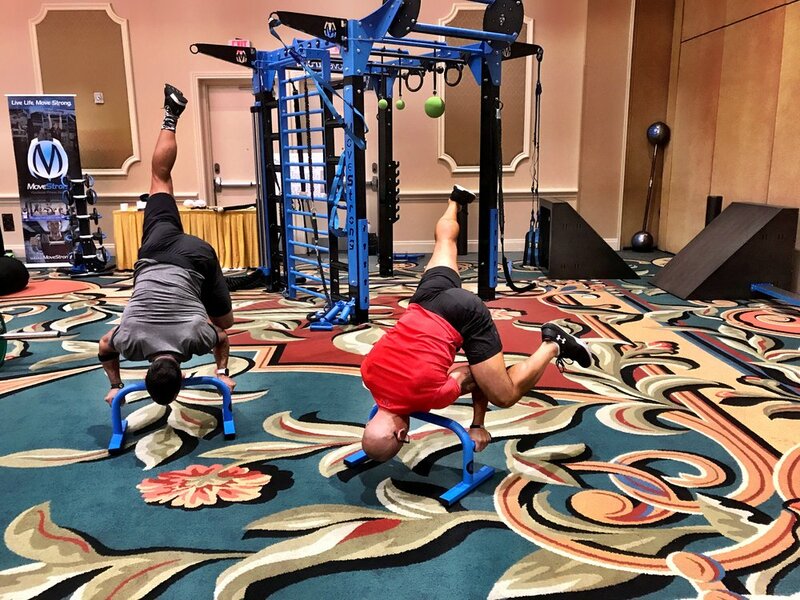 IF YOU MISSED US IN CHICAGO LAST MONTH THERE ARE STILL MORE CHANCES TO CATCH US AT THE PERFORM BETTER 3-DAY FUNCTIONAL TRAINING SUMMITS IN PROVIDENCE AND LONG BEACH THIS SUMMER!!! Join us in Providence July 14th-15th for the 2016 Perform Better 3-Day Functional Training Summit! Held at the Rhode Island Convention Center. Trainers, coaches, therapists, and fitness enthusiast will experience a combination of lectures and hands-on learning experiences with many of the top professionals in the industry. Earn continuing education credits and interact with many other fitness professional in the industry. DEBUTING a never before seen NEW configuration of the MoveStrong NOVA FTS. We will also have the new MoveStrong ELITE Storage Rack along with more new functional training accessories!!! All day that Friday and Saturday you will have a chance to see and demo new MoveStrong products! Join us at 12:15pm Friday July 14th & 15th for a MoveStrong Group workout using new training tools for a lunchtime demonstration and workout including the MoveStrong Elevate Trainer and Dynabell! We will also be offering an ENTER TO WIN compition to win MoveStrong equipment given away at the Summit! Summit attendees just stop by and give the MoveStrong Challenge a try and you will be entered to win! 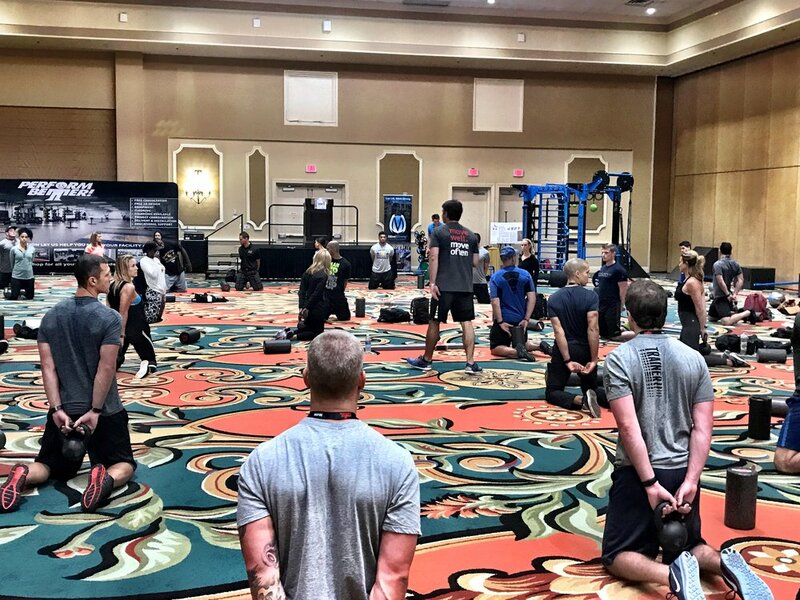 If you missed us in Orlando,FL this past week there are still more chances to catch us at the Perform Better 3-day Functional Training Summits in Chicago, Providence, and Long Beach this summer!!! Join us in Chicago June 24th-25th for the 2016 Perform Better 3-Day Functional Training Summit! Held at the McCormick Center Chicago. Trainers, coaches, therapists, and fitness enthusiast will experience a combination of lectures and hands-on learning experiences with many of the top professionals in the industry. Earn continuing education credits and meet many other fitness professional in the industry. DEBUTING the NEW MoveStrong ELITE Storage Rack and new functional training accessories!!! All day that Friday and Saturday you will have a chance to see and demo new MoveStrong products! Join us at 12:15pm Friday June 24th & 25th for a MoveStrong Group workout using new MoveStrong products for a lunchtime demonstation and workout including the MoveStrong Elevate Trainer and Dynabell! 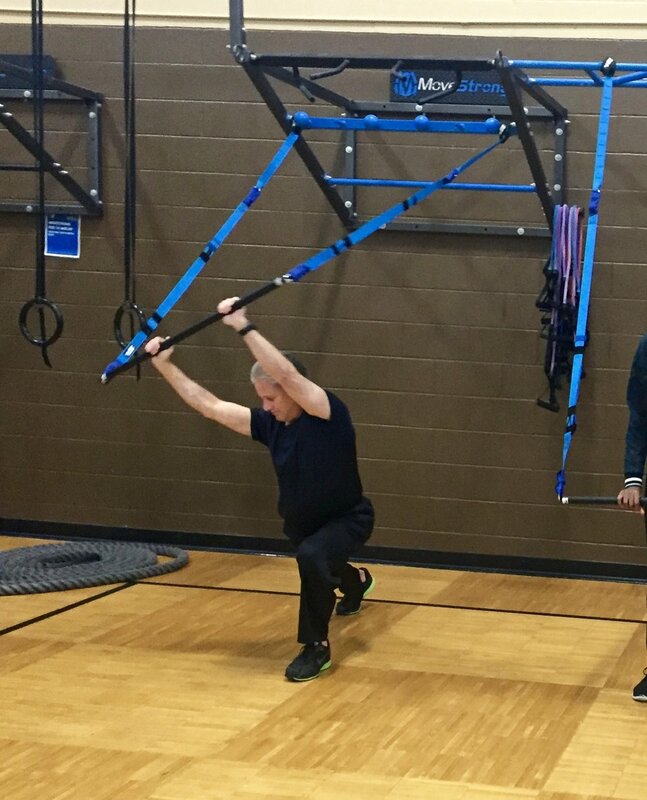 The Jewish Community Center Memphis, TN to host one-day workshop featuring the MoveStrong Nova FTS and training accessories. Will be teaching functional fitness and strength training exercises along with program formatting for group workouts. Limited space available for this workshop and is closed to JCC staff and invite only. Contact us to inquire about any additional space available. 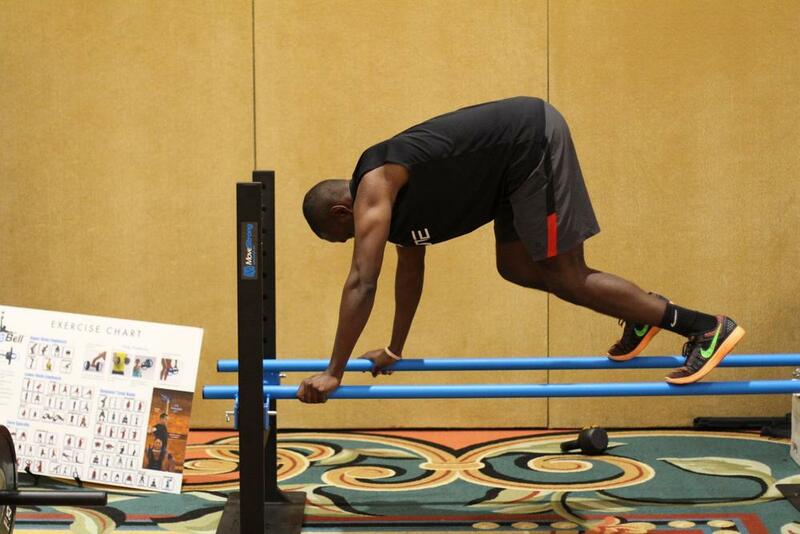 MoveStrong exhibited at the final Functional Training Summit of the year put on by Perform Better. 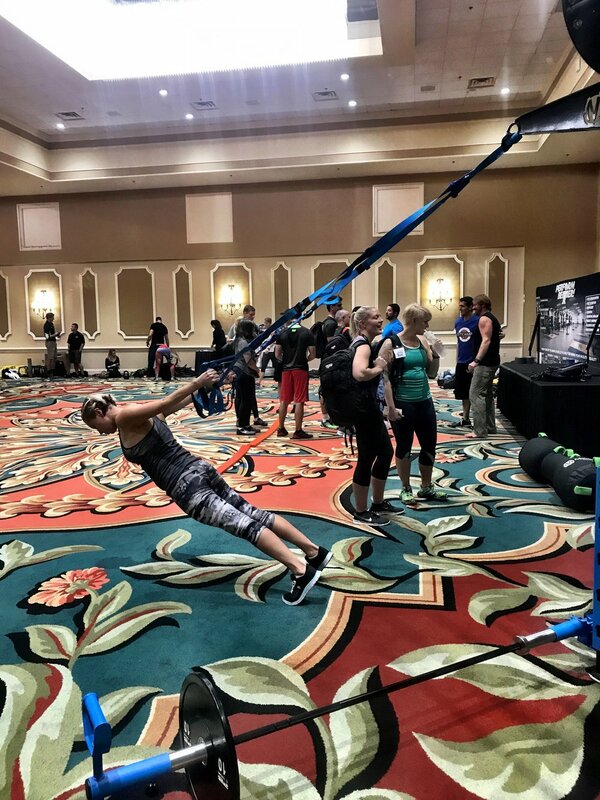 It was another awesome event with many fitness professionals, coaches, and therapist on hand to take part in workouts, earn continuing education, learn what's new if the fitness world, and test the latest products and training methods. 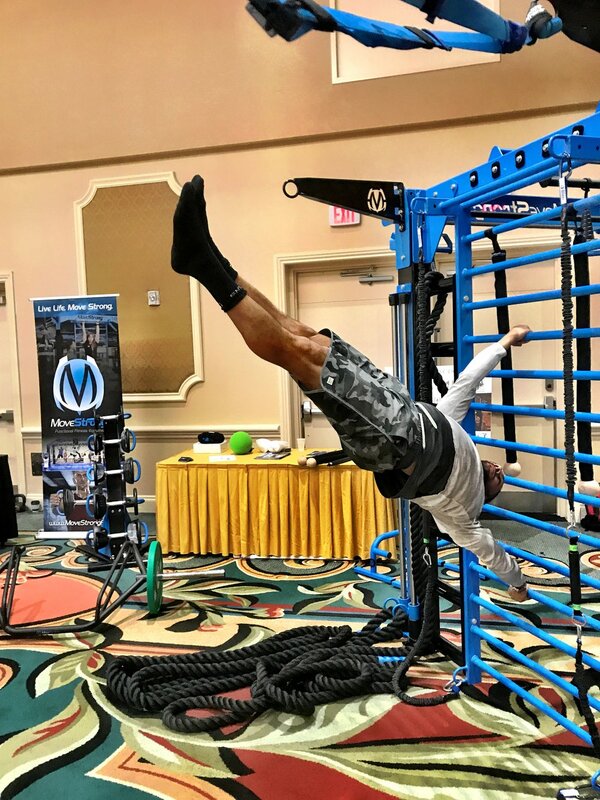 The Perform Better functional training Summit Long Beach 2015 was the site of release for even more new products and training methods from MoveStrong. The Nova FTS (Functional Training Station) is ever evolving with new features and options for customers to design the dream all-in-one training station to get results and keep clients engages with non-traditional fitness and training methods. 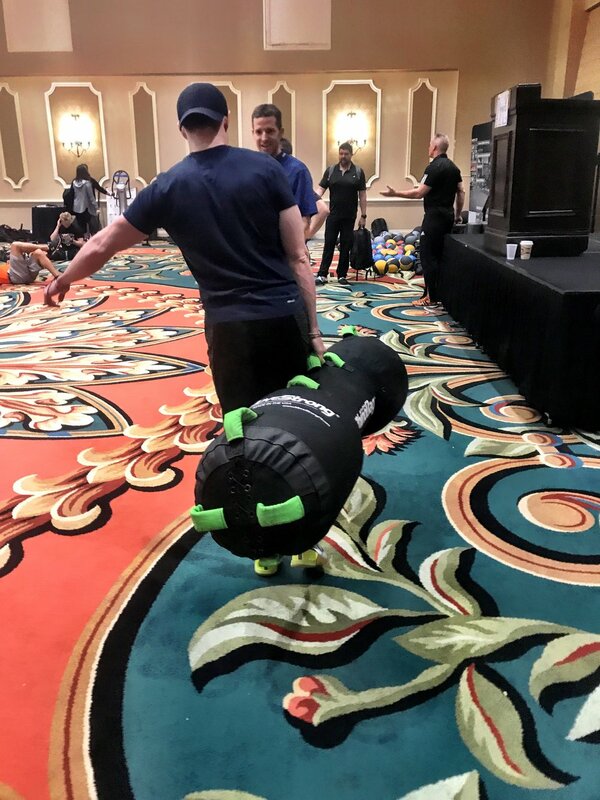 The MoveStrong DynaBell was the first of free-weight strength training tools to be released by MoveStrong, NOW the ground Strength Training bag series are the next tools to bring odd-object strength training to the limelight! The Rhino Bag and Boulder Bag will challenge you in so many ways to lift, flip, throw, drag, and hoist over head developing true real world strength to take on anything or anybody! Hanging Globes and Cobra grips were a hot as well to develop superman grip strength in performing pull-up, hangs, and with resistance bands. 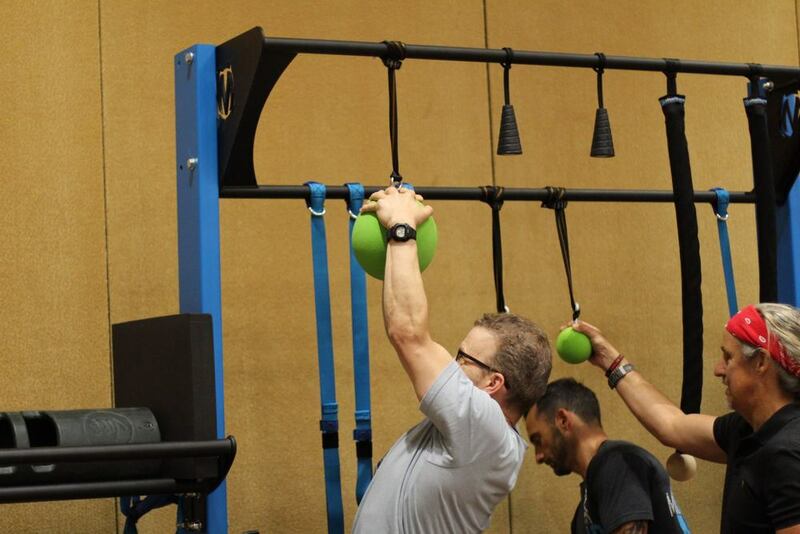 Join us in Long Beach, CA for the Perform Better 3-Day Functional Training Summit! Trainers, coaches, therapists, and fitness enthusiast will experience a combination of lectures and hands-on learning experiences with many of the top professionals in the industry. Earn continuing education credits and meet many other fitness professional in the industry. DEBUTING a never before seen NEW MoveStrong Nova FTS and functional training accessories!!! All day this coming Friday and Saturday you will have a chance to see and demo new MoveStrong products! Join us at 12:15pm Friday August 7th & 8th for a MoveStrong Group workout on the new NOVA FTS at 12:15pm for a lunchtime demonstation and workout including the MoveStrong Dynabell! Join us in Chicago for the Perform Better 3-Day Functional Training Summit! Trainers, coaches and therapists will experience a combination of lectures and hands-on learning experiences with many of the top professionals in the industry. All day Friday and Saturday you will have a chance to see and demo MoveStrong products. Join us at 12:15pm Friday July 25th for a Dynabell demonstration, and again on SaturdayJuly 26th at 12:15pm for a lunchtime workout on the MoveStrong NOVA™ FTS! This Level 1 course is designed to introduce fitness professional, trainers, coaches, athletes, and enthusiasts to Dynamic 3-Dimensional Strength Training utilizing the MoveStrong DynaBell. Learn hands-on how to use the DynaBell™ for more efficient movements to perform total body multi-planar exercises with load. 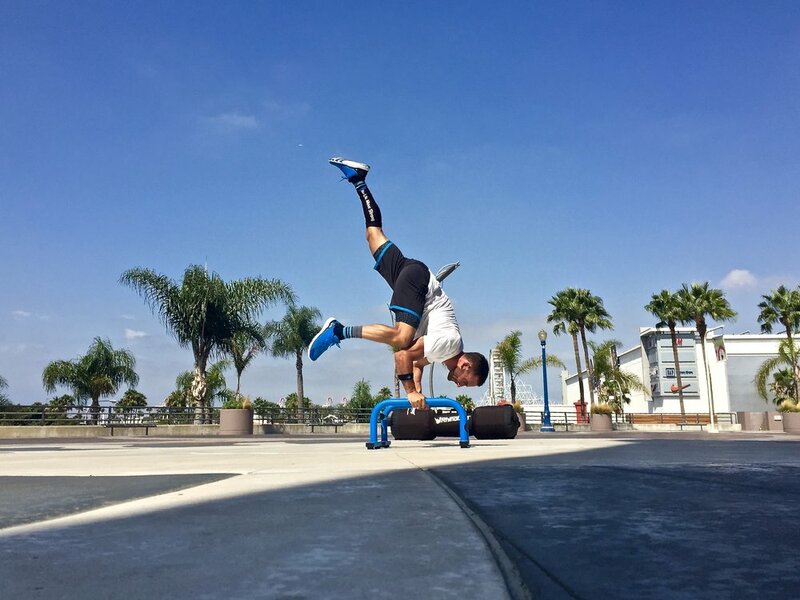 By combining the traditional dumbbell with features such as added grip positions and rotating handles, the DynaBell offers the ability to perform these more functional based multi-directional movements for efficiently. Will teach you how to assess, scale, and implement with your clients and athletes. Sign up form prompts after you select workshop in shop cart, here! Learn hands-on how to utilize the MoveStrong™ FTS to conduct challenging, highly effective, and ever changing group workouts for your personal training clients, bootcamps, athletes, students, and anyone looking for results the MoveStrong™ way! We will work with you on putting the pieces together to create safe group functional training workouts scaled for all fitness levels. Sign up for the Atlanta course, here!